PCN Europe: What are the key criteria that a lens system has to satisfy in order to meet the needs of the nuclear industry? Mr. Pontin: The Nuclear Industry requires that the lenses it uses are Non-Browning and are able to maintain a usable image up to a maximum allowed radiation dosage. All Resolve Optics lenses are qualified to withstand 108 (100 million) Rads over an extended period of time. The term 'Non-Browning' is used to describe an optical lens that does not significantly change colour when exposed to radiation. Standard glasses will rapidly turn brown or grey when exposed to radiation which will cause a transmitted image to become dark and unusable. PCN Europe: Can you describe some recent advances made by Resolve Optics in the area of Lens Technology for the nuclear industry? Mr. Pontin: The Nuclear industry has increasingly been adopting CMOS colour sensors in place of the traditionally used tube cameras which produce a monochrome image. This move towards colour images necessitated that Resolve Optics develops a new generation of non-browning lenses. As standard radiation resistant optical materials are very yellow most non-browning lenses produce images with a yellow tint. The new Model 357 range of non-browning lens from Resolve Optics minimises the amount of yellow tint in the image. PCN Europe: Please describe some of the main areas in a nuclear plant that are benefiting from radiation resistant lens technology? Mr. Pontin: In a nuclear power station - radiation tolerant cameras are used to monitor all areas of the plant including the reactor containment area, nuclear fuel storage facilities and decommissioning areas. Even if these cameras are in areas that are not exposed to high radiation they will be required to be radiation resistant in case of an emergency. Other typical use of non-browning lenses includes rooms used to store crucial equipment and for inspection of pipes in water cooling facilities surrounding the reactor. Nuclear reprocessing plants also use non-browning lenses and radiation tolerant cameras to monitor the reprocessing and vitrification of nuclear waste. 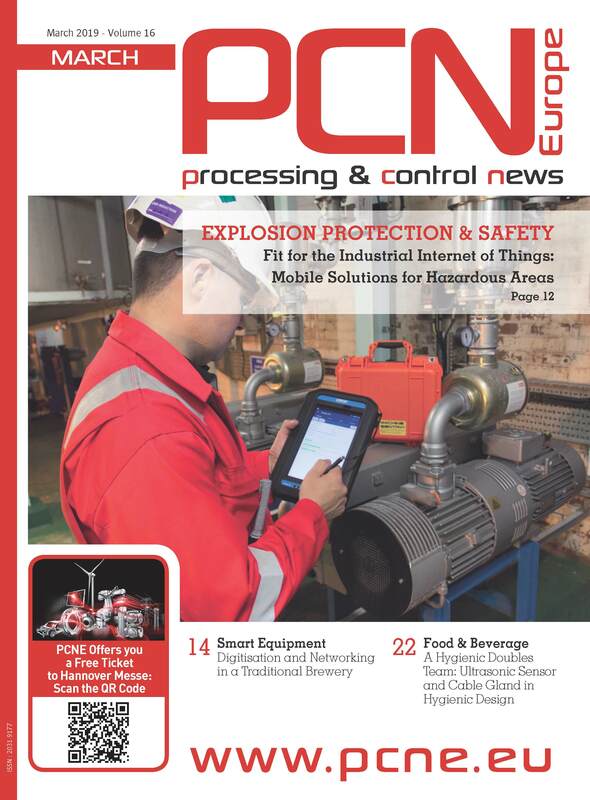 PCN Europe: Can you tell us about one of your most interesting applications that you have helped solve for a nuclear industry customer? Mr. Pontin: Because of the security sensitive nature of almost all nuclear installations, I am not really at liberty to reveal specific customer details. However, I can say that the new generation Model 357 non-browning lenses for use with colour CMOS camera was developed initially as a bespoke lens product for a nuclear systems integrator. PCN Europe: Resolve Optics has developed a range of radiation resistant lenses for use in the nuclear industry. What other applications outside this industry can benefit from these particular types of lens? Mr. Pontin: Space is another major application that has widespread need of non-browning lenses. The higher the orbit of a satellite or spacecraft the greater the levels of radiation that onboard cameras, sensors and instrumentation containing optics is subject to. Space applications are very demanding as the last thing you would want is to get your optical system into space only to find it does not work as expected or your image quickly deteriorates as a critical lens darkens. Therefore, Resolve Optics non-browning lenses for space applications are designed to withstand the harsh environment of that unforgiving environment. Increasingly Resolve Optics non-browning lenses are also being used in medical applications. In medical research – Resolve Optics radiation resistant lenses form targeting elements in synchrotron radiation therapy machines and also in commercial x-ray instrumentation. PCN Europe: What do you see as future possible developments of lens technology for the nuclear industry? Mr. Pontin: The trend in the Nuclear industry is to require higher and higher resolution images so that more detail can be seen remotely. Being highly regulated and very safety conscious, changes in the Nuclear industry happen very slowly. Consequently, Resolve Optics has some time to translate the knowledge it gained from developing HD and ultra HD resolution lenses for other industries into a new generation of radiation resistant high resolution lenses.